Innovative materials are designed to deliver improved protection, transport and access to your equipment. 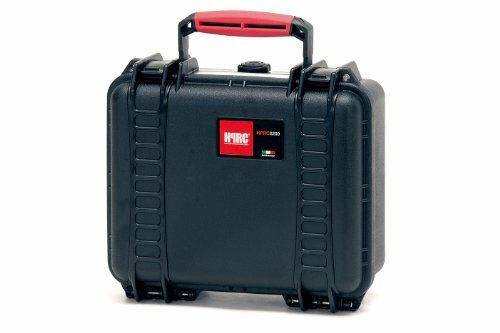 HPRC cases utilize high performance resins that allow this case to be lighter in weight and stronger in robustness. A special mix allows the walls of the case to be more elastic and thinner, increasing shockproof capabilities. The ultralight hard case shell is acid proof, scratchproof and able to resist extreme weather conditions and temperature changes. This case is supplied with cubed foam. The cubed foam makes it easy to configure the case to snugly fit all of your expensive equipment. Interior dimensions 9.30" x 7.20" x 4.10" External Dimensions 10.15" x 9.05" x 4.72"
View More In Camera Cases. If you have any questions about this product by HPRC, contact us by completing and submitting the form below. If you are looking for a specif part number, please include it with your message.